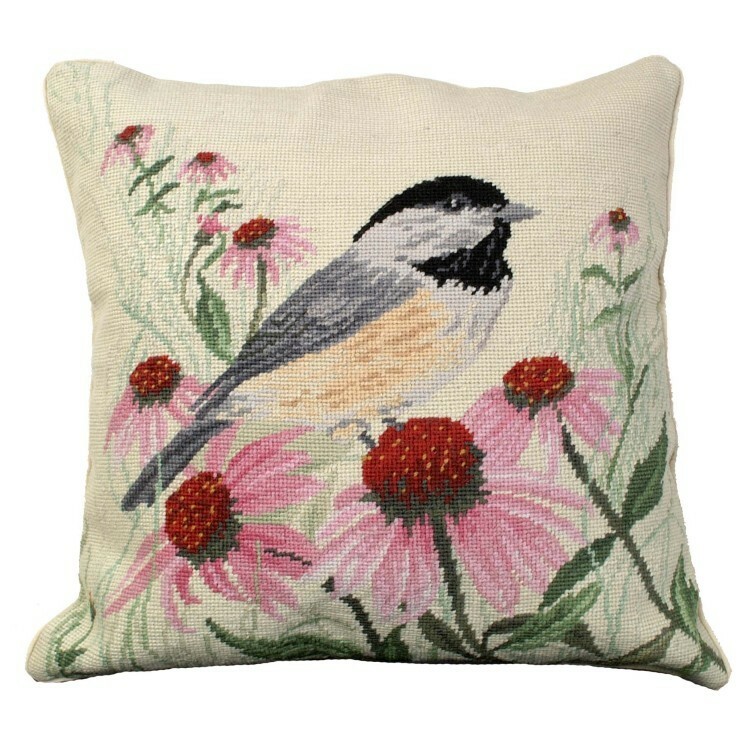 A realistic Chickadee is sitting peacefully among blooming flowers on this Chickadee Needlepoint Pillow. The exquisite detail and vibrant color will complement most any decor. Made from 100% wool with a cotton velvet zippered back.